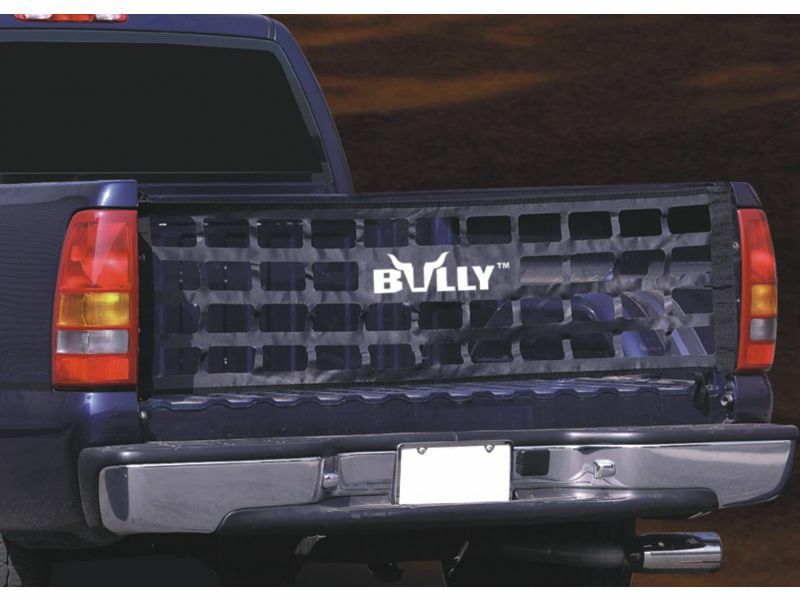 Bully tailgate net is the perfect solution to getting rid of tailgate and saving some gas. Each tailgate net is made from extremely heavy-duty, industrial strength reinforced fabric that is also light weight. Bully also has added an extra wide nylon edging to prevent scratching and fraying. Tailgate nets are available to fit most pickup trucks from compact all the way up to full size truck and they come with all the necessary mounting hardware to make installation as simple as possible. Made by Bully. This product offers an easy, at home installation. Simply mount the provided hardware to each side of the truck bed, then attach the tailgate net to that hardware. There is an installation manual that is sent with the product which offers clear cut and easy to read instructions. For additional information, please call us toll free at 1-866-309-1907 or 701-253-5906.